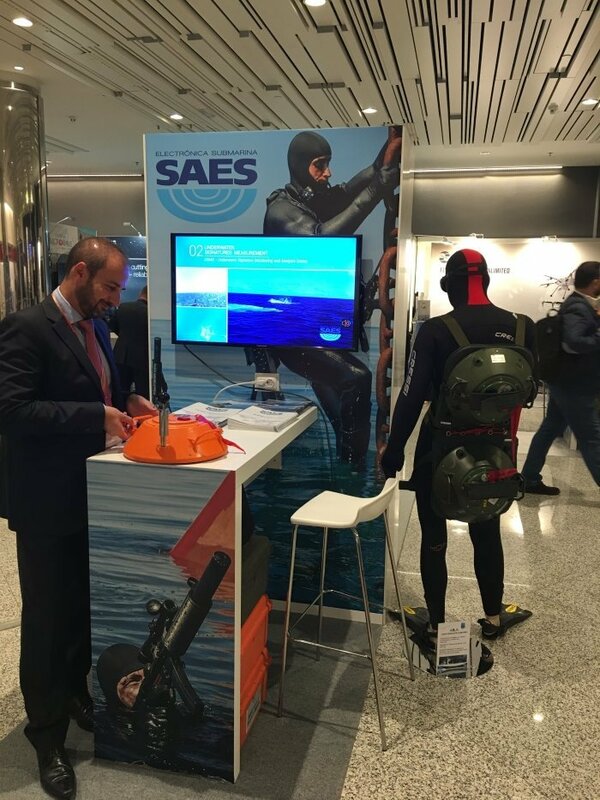 SAES has participated, from September 25th to 27th, in two international exhibitions: Global SOF Symposium, the international conference specializing in Special Forces, which took place in Madrid, and ADEX (Azerbaijan International Defense Exhibition, for its acronym in English ) that was held in Baku. 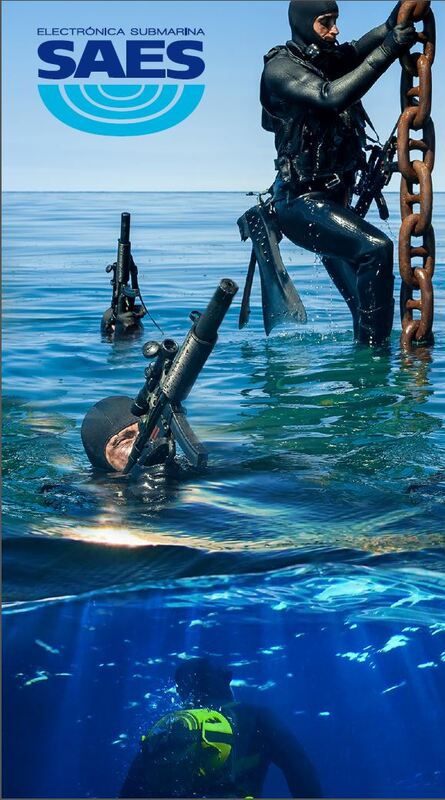 At SOF, the company focused on the underwater demolition charge MILA and the Diver Detection Sonar DDS-03 systems. Both products were special interesting for a number of representatives of the Special Forces attending the conference. Specifically, SAES was visited by both the Major General and the Commander of the MCOE (Joint Special Operations Command) and the Nato SOF HeadQuarters Commander. Also representatives from foreign countries such as Sweden and Ukrained visited the stand. DDS-03 can detect divers or other underwater intrusions, like underwater vehicles.These types of underwater threats can be easily circumvented. The solution is to incorporate diver detection sonar into the surveillance system of those military and commercial ports, power stations or petrochemical plants, oil platforms, anchored ships and other high-value assets with access to water mass. MILA MILA is an underwater demolition charge that incorporates a computer-controlled detonation system. It is used by combat divers in covert underwater operations to neutralize threats. 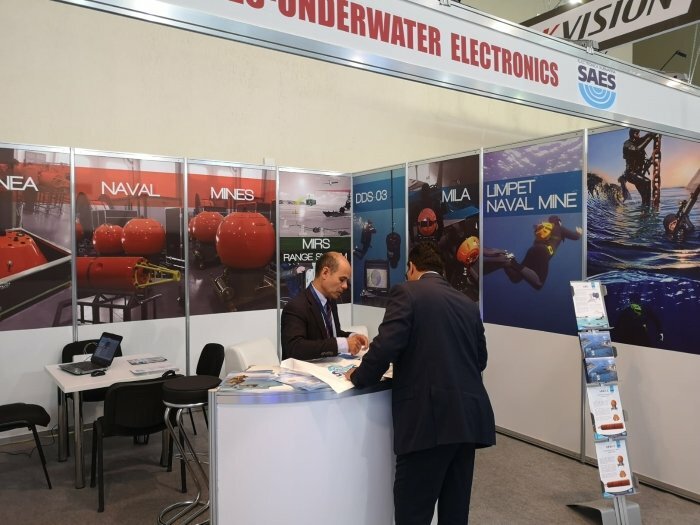 At the Azerbaijan exhibition, ADEX 2018, SAES presented, besides the previously said DDS-03 and MILA, the product line focused on MCM warfare: the MINEA naval mines and MIRS Multi-influence Range Systems. 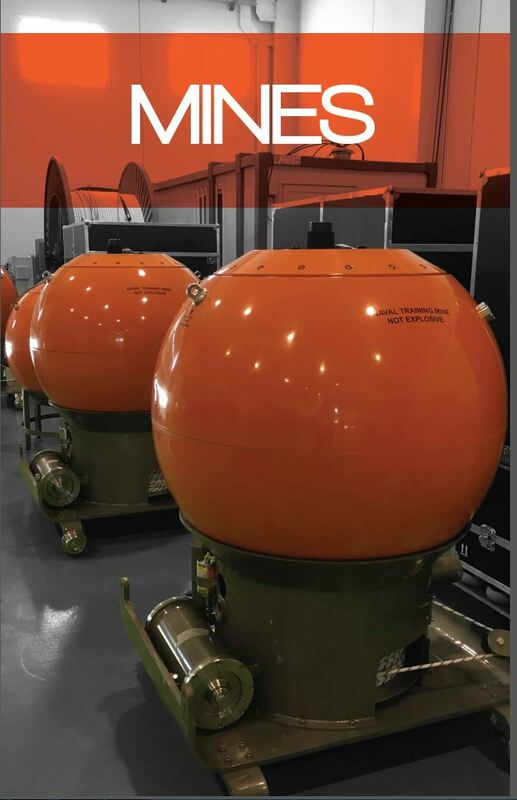 The Multi Influence Range System (MIRS) for surface vessels and submarines provides, simultaneously, real measurements of following influences: magnetic, electric, pressure, acoustic, and seismic. SAES team met to naval officer and representatives from countries in the Caspian region such as Russia, Kazakhstan, Azerbaijan and of Saudi Arabia, the United States, Malaysia, Egypt and France.